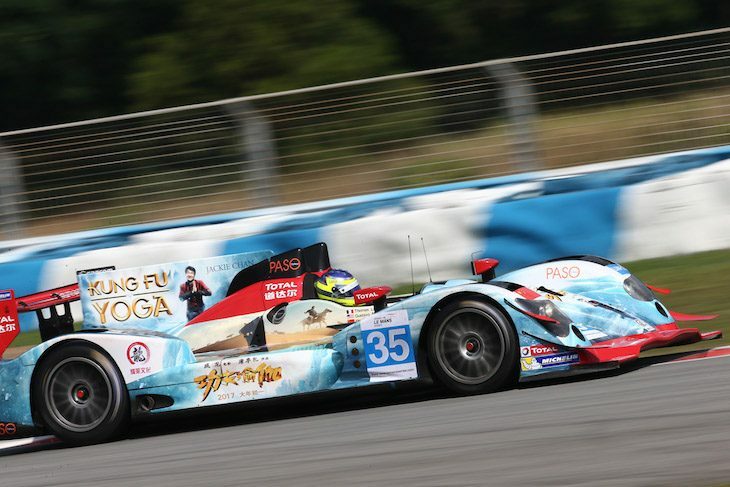 The #35 Jackie Chan DC Racing Oreca 03R Nissan dominated round 3 of the 2016/17 Asian Le Mans Series at Chang International Circuit, Buriram, Thailand to extend the team’s Championship lead with just one round to go, in a fortnight’s time at Sepang, Malaysia. Ho Pin Tung pulled out an immediate advantage over the chasing Andrea Roda in the #25 Algarve Pro Ligier Nissan and then did it again after an early (11 minute long) Safety Car period for the recovery of the stricken #68 Ligier CN car. 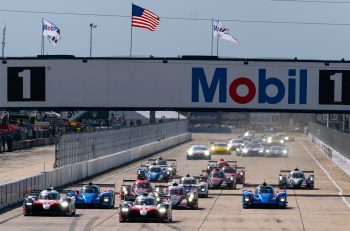 Matt McMurry couldn’t make an impact on Thomas Laurent when both young drivers took over the leading two cars but the young American did fend off the challenge from Fabian Schiller in the #8 Race Performance Oreca 03R Judd. A drive through penalty for the lead car, overtaking under yellows whilst in the hands of Gustavo Menezes, made life interesting, the lead gap down at that point to just over 3 seconds, but soon afterwards a 10 second stop go for the #25 restored the previous order with the #8 unable to take advantage of the #25’s penalty after a long stop inside the final hour for the Race Performance Oreca that saw the car briefly into the garage, that putting the all Bronze crewed #24 Algarve Pro Ligier Judd into third! The lead gap at the flag though was some 82 seconds, the #35 now in a dominant Championship position. 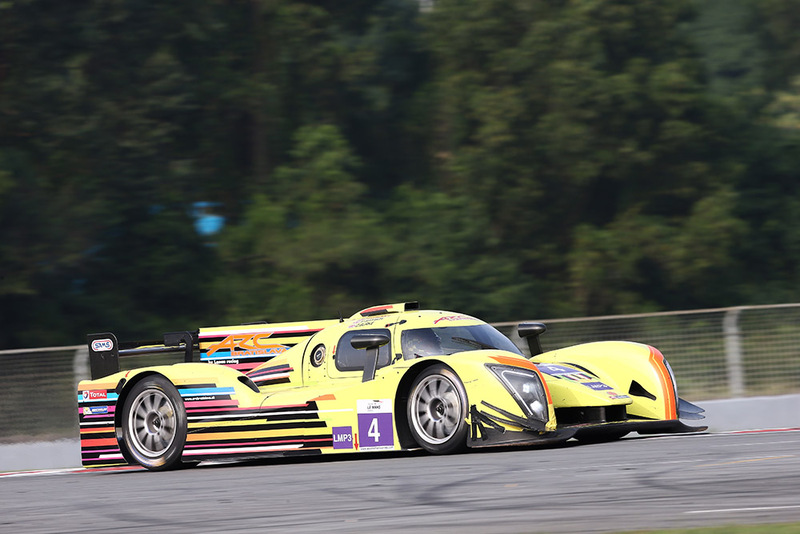 In LMP3 Ginetta took a first win in the Asian Le Mans Series as the race came together for ARC Bratislava, and problems hit the major Ligier runners. In very early trouble was the Tockwith Ligier, the Championship leading car with a long stop dropping the #26 to the back of the field. Charlie Robertson took an early class lead and pulled away in the #67 PRT Ginetta, he took the lead overall when the LMP2s made their first stops but the car dropped back as gentleman driver Ate de Jong came out and did battle with the Pro drivers, the car suffering a short off track excursion but rejoining and getting back into the fight. A pair of Ligiers worked their way to the front but trouble for the #1 Jackie Chan DC Racing car, a long out of sequence stop required, and better pace from the ARC Bratislava drivers vs William Lok in the middle part of the race saw the yellow cars work their way to the front of the pack, Konstantins Calko moving to the lead before handing over the #7 to Neale Muston, Darren Burke closing in on the #7 in the sister #4 before the final stops that saw the lead order revered, Mike Simpson to the lead in the #4 from Calko as Shaun Thong moved up to third inside the final hour in the #85 G-Print by Triple 1 Racing Ligier, Charlie Robertson grabbing 4th from the fading #1 WinEurasia Ligier for PRT Racing. The ARC Bratislava pair duked it out right to the flag, Simpson JUST fending off Calko, 0.177 secs the gap at the flag, 1,2,4 for Ginetta! In GT it was a Ferrari dominated affair with only the #90 Team AAI BMW making serious inroads into the 488 GT3 fest at the front. The VS Racing Lamborghini was another car in early trouble, electrical woes seeing the Huracan into retirement. The race developed into a four car battle after an early issue for the Clearwater Ferrari saw the #61 crew into a near race long fight back. The #90 BMW would cycle into the top three with better fuel mileage but ultimately could not live with the pace of the Ferraris. That left another battle royal between a trio of 488 GT3s with Olivier Beretta in the #3 DH Racing Ferrari left to fend off Michele Rugolo in the sister #5 car and Alessandro Pier Guidi in the #37 Team BBT car. 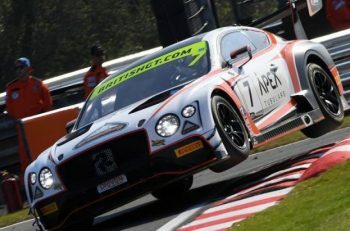 Beretta though ceded the lead on the penultimate lap, the gap at the flag 0.279 secs with Pier Guidi a further 10 secs back. That means that the #4 Ferrari, and DH Racing, take the GT title, and that DH Racing are the latest addition to the 2017 Le Mans 24 Hours entry!